Wedge Electric is a Commercial, Industrial and Manufacturing Electrical Contractor serving Orange, LA, Riverside, San Bernardino and San Diego Counties, California. Our focus is providing quality, cost effective designs, installation and service with our customer’s best interest in mind. Our reputation for customer satisfaction is outstanding because we care about your success. 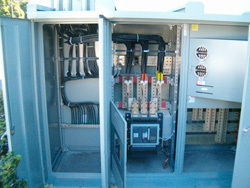 With over 25 dedicated years in the electrical industry, we have the ability to handle your next project. Whether it’s a plant relocation, new service or troubleshooting. Given the opportunity “We Flat Out Perform”! Serving Orange, LA, Riverside, San Bernardino and San Diego Counties.